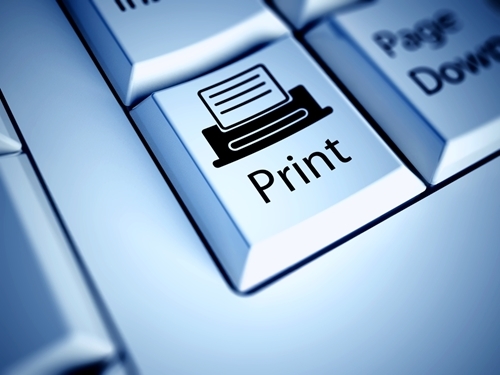 The printing industry received some major news this past week. Xerox, industry powerhouse in print technology, announced it would be splitting the company into separate divisions, according to VentureBeat. The split will create one entity centered around hardware and an additional company focused on services. It's no secret that the company has been facing some financial woes over the past few years. In fact, in the third quarter of 2015, Xerox's earnings report signified a 10 percent decrease in revenue compared to the same time last year, reported the source. Of the $4.3 billion in revenue for Q3 2015, over 55 percent came from the company's services division – a considerable $2.5 billion in earnings. In October of 2015, CEO Ursula Burns announced there would be a review of the company's strategic operations in response to a prolonged period of decline in profit. Not long after, billionaire investor Carl Icahn revealed his stakes in the company, explained MarketWatch. Many industry leaders speculate that Icahn had a large hand in the decision to divide the company into two. Yet Burns denies the claims. Regardless of the motivations, Icahn currently stands as the second-largest shareholder in the company, totaling over 82 million shares in Xerox, according to VentureBeat. The biggest consequence of this decision lies in the complete unraveling of Xerox's massive acquisition of Affiliated Computer Services Inc. in 2010, reported MarketWatch. The $6 billion deal aimed to help Xerox delve further into services such as managing call centers, providing bill processing and other offerings aimed at corporations and government agencies. The move by Xerox is indicative of a larger trend across corporate America, according to the source. Businesses with diversified services are largely moving toward splitting into more distinct and specialized pieces. Just last year, Hewlett-Packard Company, the historic rival company to Xerox, made a similar move. Mr. Icahn will receive three seats on the service division's board as a part of the transition – the notable more profitable of the two new businesses. However, the hardware sector of the company still made up $1.8 billion in profits in Q3 of 2015, according to VentureBeat, and Burns is hopeful for the division's future. As an innovator in print machines, the move by Xerox will be an interesting adjustment. No word yet on what the split means for the company's 140,800 employees around the world.